As we drove away down a windy road in a musty, hot van, I watched out the back window as young children began running after us over a dirt road covered in glass, garbage, and rocks. They seemed numb to the pain as they ran barefoot over rough conditions, still so full of joy and laughter. Even though we were beginning our long journey back to the United States, it was as if this moment in time was in slow motion, allowing our hearts to feel and experience things like never before. The things that we experienced; the sights, smells, and sounds of children and adults fighting for their lives will forever be ingrained in our minds. I remember coming home and thinking about how there was no way I could continue on with my life like before, knowing what others were experiencing around the world. Something had to change; I had to do something. My younger sister, Emily, and I were just 17 and 18 years old when we made the life-changing decision to start Honduran Soles. Little did we know that five years later our small dream would turn into a nonprofit organization that would put over 14,500 pairs of shoes on people’s feet in 22 countries around the world. The past five years have not been easy, but this journey has taught us many valuable lessons about ourselves and has shown us that with the right heart and passion behind a dream, anything is possible. After returning home from a week-long mission trip to Honduras, my sister and I both were burdened by the number of children we saw barefoot. Out of everything we had experienced that week, neither of us could look past the shoeless children. Initially we decided to raise a one-time donation of 200 pairs of shoes to send back to Honduras. I remember sitting in an interview for a local newspaper. We were both so nervous to share our goal of 200 pairs of shoes simply because we thought it was a lot to ask. However, the same day we launched our campaign, we received a donation of about 300 pairs of shoes. We knew in that moment that this was about something greater; this was not just meant to be a one-time thing. A couple hundred shoes turned into a couple thousand pairs of shoes, and eventually, our small dream turned into a nonprofit organization. There are many reasons why shoes are so important. 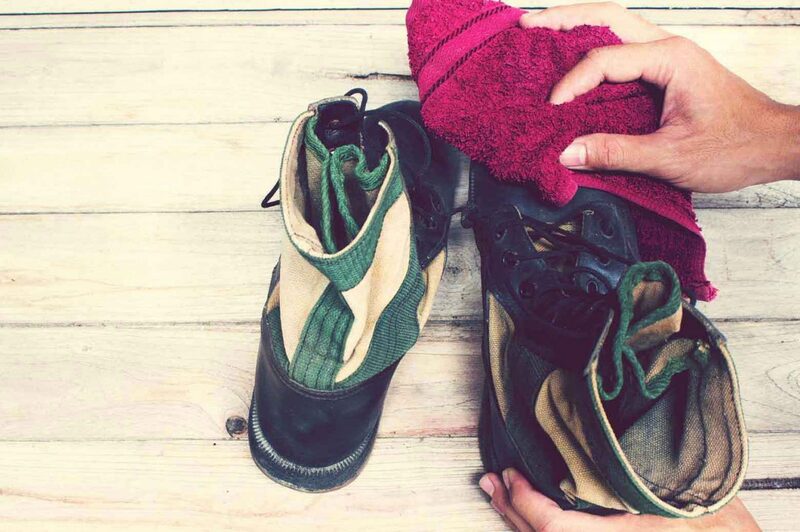 Most of us could probably admit that we take our shoes for granted. If you’re anything like me, you probably have way too many shoes piled in your closet. But for someone in a developing country, shoes mean more than just fashion. For one, shoes help to protect and prevent the spread of many life-threatening foot-borne parasites that can get into cuts. Second, shoes are often a key component to getting an education. It’s unfathomable to me that because a child cannot afford a specific type of shoe, they are not allowed to attend school. We have focused a huge effort into partnering with schools across Africa to provide students with the required black, closed-toe shoes to allow them into school. Finally, a pair of shoes offers hope and ultimately shows others that they are loved. Now I’m sure many of you reading this might be thinking, realistically, how did two young girls handle the responsibilities of starting and running a nonprofit organization? I believe the answer is a combination of our faith, passion, and unending desire to make a difference no matter the cost. The goal of our nonprofit is simple: to provide children and adults with shoes anywhere there is a need. Children were running after us over a dirt road covered in glass, garbage, and rocks…something had to change. From start to finish, our process is short and sweet. All of our shoes are collected throughout the community in various ways, whether it’s through shoe drives, fundraisers, school events, or other similar means. Then, all of our shoes are cut and tied together before they are sorted and stored. My sweet parents so graciously turned an extra garage at their house into a giant shoe storage area. In it are thousands of pairs of shoes in all sizes. Typically we partner with mission groups traveling abroad. We provide each group with large duffel bags filled with their desired types of shoes. We have given teams anywhere from a single bag of shoes to over 10 bags at time. We try to be as flexible as we can to accommodate each group’s needs. Also, another great part of our ministry is that we are able to cover the costs of airfare to check each bag we provide. Never let obstacles keep you from taking action. Neither my sister or I have a background in business, so we have had to learn many different aspects of finances, leadership, organization, and marketing. What we have learned is that success isn’t always determined by your skillset or the amount of money you have. Our passion and love behind what we do helps us overcome the difficult parts of running a nonprofit and still genuinely enjoy what we do. When you’ve felt the hug of a child who’s crying after receiving their first pair of shoes, or watched a child wiping off the dirt from a pair of sandals you just gave them, you realize that it’s about so much more than just a pair of shoes. Yes, it helps to meet a physical need, but even more than that it offers these children hope and love. It lets them know that they are valued, cared for, and worth a new pair of shoes. The smiles, hugs, and precious stories are always worth it to me. One of the most incredible parts of this journey is seeing how our story has inspired and encouraged others to step out and make a difference. We always pray that our nonprofit would be an example to others that no matter how equipped you may or may not be—your age, financial status, or resources—that you can always make a difference. A pair of shoes is something we are all guilty of taking for granted. Yet, to someone who has never owned their own pair of shoes, it can be a life-changing gift. Raising funds, starting a flip-flop collection, and connecting us with other groups or people who may know of an area in need of shoes are all great ways to get involved and make an impact. For more details on these opportunities, visit our website, HonduranSoles.org. I couldn’t continue on with my life like before, knowing what others were experiencing around the world. I had to do something. Andrea loves a great cup of coffee, and all things chocolate.